A Retirement Party can Destroy Your Retirement Plans! 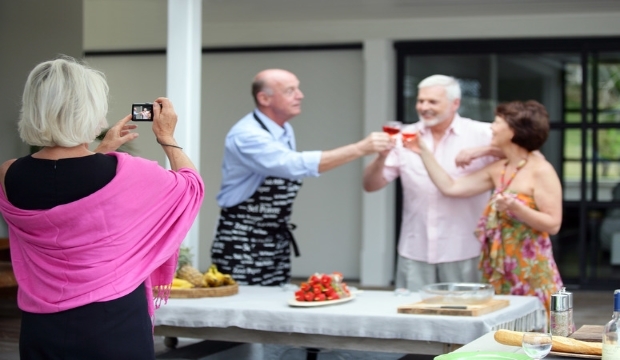 A retirement party should be a positive experience that transitions older employees from their working years to their retirement years. Unfortunately, these parties occur whether employees are ready or not. Being ready means you have accumulated enough assets to live comfortably for the rest of your life. Not ready means you do not have enough assets and sources of accumulating additional assets has stopped. The executives who run American companies no longer have any allegiance to the people who work there. Their decisions are based on keeping their own jobs, maximizing company profits, and meeting the expectations of Wall Street analysts. If they do this they will keep their jobs and maximize their own financial security in the form of raises, bonuses, and stock options. Consequently, a retirement party has become a way to retire older, more expensive workers and replace them with younger, less expensive workers. The younger workers also tend to be more tech-savvy which is increasingly important in an information-based society. Companies have a tough time exporting the jobs of older employees offshore where labor costs are lower. So, a retirement party gives them the opportunity to remove older workers, promote younger workers into their jobs, and export the jobs of the younger workers to China and other countries with skilled labor. We read about the global economy, but we rarely read about the impact it has on older employees’ financial security during their retirement years. It would be more acceptable to give older workers the boot with a retirement party if they retired with pension benefits that were guaranteed for life. But, less than 20% of Americans retire from companies with those types of pension plans. Most Americans retire from companies that sponsor 401k plans that are funded by employee contributions and company matches. There are no guarantees. It is not the companies’ fault if employees failed to accumulate enough assets during working years to achieve financial security during retirement years. A retirement party is a major source of hidden angst for many Americans who are not ready to retire. Given a choice they would continue working at the company for a few more years. Deferred retirement is the number one option for people who have not accumulated adequate assets in their companies’ 401k plans. Their other choice is to take another full-time or part-time job. This may or may not be a viable option based on job skills, current health, and the availability of jobs in their locations.